As a business owner, managing chaos could be one of your daily duties. For every business which relies on a website or app, though, this enters a new realm amidst the realisation that your website or app is down. In recent years, huge companies have faced small chunks of downtime which has cost thousands or millions of pounds. Amazon reported a loss of $66,240 per minute for their outage in 2013. More recently, YouTube and Barclays have faced issues with their online servers, sites and apps. Whilst few companies compare to the size and scale of Amazon, it’s important to consider how much of an impact even just a few minutes of downtime could have on your business. Regardless of your industry—from estate agents to e-commerce, IT firms to painters and decorators, customers who browse your site will make assumptions and decisions based on your site. 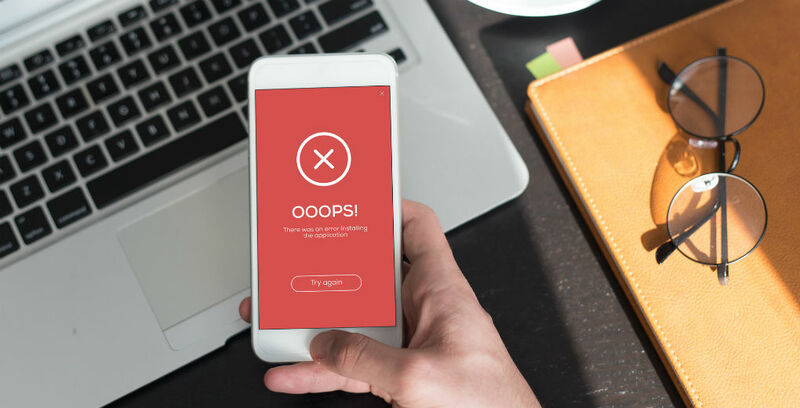 Imagine your first contact with a site you visit is littered with error messages. If customers are unable to browse, buy or contact you, it could send a bad impression and ultimately force them to leave your site without any intention of returning. Imagine if that customer then shares their bad experience on social media or through word of mouth. It could drive traffic away from your site leading to huge financial losses. These losses may not just be in the interim, either. If your reputation has been questioned, public perception of you may be diminished, so even when you’re back up and running, traffic to your site or app is still low because the trust has been broken. It could strengthen your competitors, too, making it more of a challenge for you to recover. At some point in time, nearly every website will experience downtime. It could be a server issue or a problem with a code. Software or hardware may need maintenance and programmes may need to be updated or replaced. Those new replacements may have teething issues. It could be something more malicious like a cyber-attack or an act of terrorism. Either way, finding the root of the problem is only the beginning of your journey back from the brink of chaos. If your website does crash, it’s important you contact the company which hosts it immediately. More often than not, your host will be able to get you back up and running in no time. Whilst you’re down, try to interact with your customers in a way that is sensitive, informative and fun. Check online for some creative examples and adopt similar ones depending on your business. From there, it’s a case of using all of your customer service skills to stabilise customer retention and loyalty. Learning from such a scenario and adapting your business continuity plans to suit can be tremendously beneficial, too. It also helps to have a robust insurance policy in place, designed to help mitigate the financial and reputational risks of such an event. amb insurance services can equip you with a policy that’s specifically placed to help in these situations. Whether your business is interrupted by accident or via a malicious cyber-attack, we can ensure that your losses are appropriately controlled and you are supported in your recovery.